Deer season is underway here in Southwestern Pennsylvania, which means that hunters and non-hunters alike will need to practice some added safety tips, especially while out in the woods. 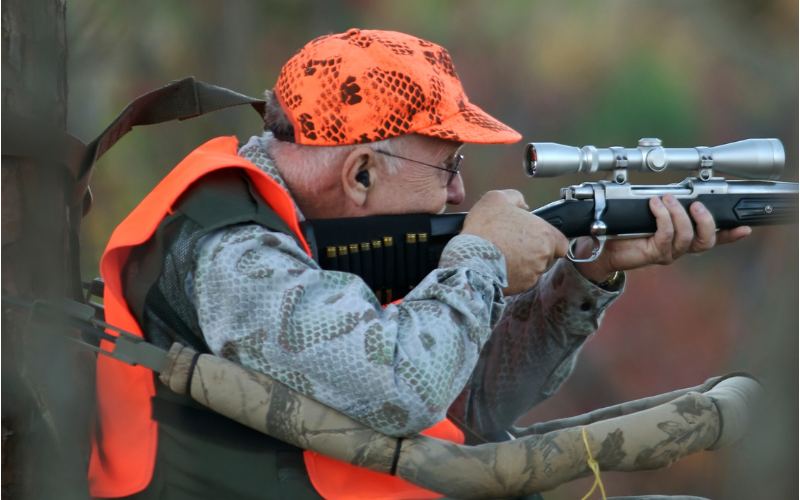 In Pennsylvania, it’s a law that all fall hunters during the regular firearm deer seasons wear at least 250 square inches of blaze orange on their head, chest, and back combined. When archery deer season coincides with small game or turkey seasons, hunters must also wear at least 250 square inches of orange. During spring turkey season, hunters must wear at least 100 square inches of blaze orange. Non-hunters should wear bright orange clothing as well when walking through the woods or fields during hunting season. Don’t forget to protect your pets, too. You can buy bright orange vests for dogs. If you’re not a hunter but like to hike through the woods, it’s a good idea to avoid areas where you know hunters have tree stands. Otherwise, make reasonable noise so that hunters know you’re in the area. Be courteous, however. Obviously, hunters need to know the dates of specific hunting seasons to know when it is legal to hunt certain game. Non-hunters should know these dates as well so they can plan appropriately when spending time outdoors.